Tips & strategies to improve the quality of your marketing and attract the types of clients your firm is looking for. 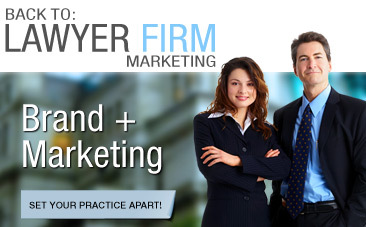 You will learn how to utilize online and offline tools to improve the results of your law firm’s marketing. The guides will discuss topics from Brand Development, to Search Engine Optimization, to PPC, PR, Social Media and a host of other best practices. 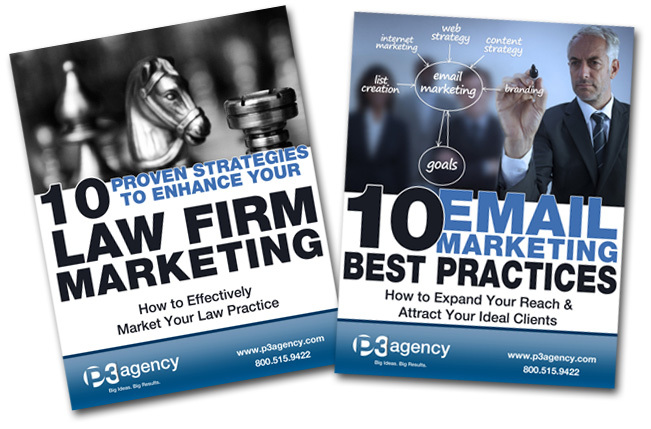 The guides offer a balanced, 360 degree approach to marketing your firm. The expert staff at P3 is here for your support. 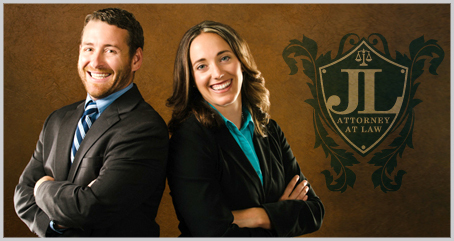 We welcome ANY and ALL questions that will help you enhance your law firm’s brand image and marketing. We welcome the opportunity to help you get connected with your target clients, so please feel free to reach out to us or schedule a FREE Marketing Assessment. "Everyone at P3 Agency have a true compassion for their clients to see them succeed in all their marketing and branding needs. They are always available when you need to get a hold of them and they are always thinking of new ways to see your business start up and grow. I would recommend any business, especially any law firm, to consult with them and see how P3 can make you stand above your competition." Fill Out the Form to Access Your Guides!